Helpful staff and advanced technology are two of the key factors in making a great snowboard resort, according to an authority on the subject. Calum Clark, vice president of events for the US Ski and Snowboard Association, told Forbes.com that his role in identifying suitable locations for competitions had helped him gain an insight into the ideal conditions. "Part of [our] strategy is to go to the places with the very best terrain for the competition," he explained to the news agency. However - it is also about the staff and the snow-making technology in order to ensure the conditions are ready for alpine activity. "That converts into a great skiing or snowboarding experience . 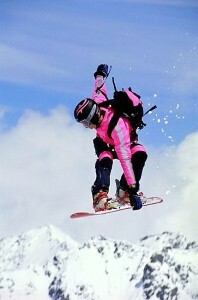 . . which carries from the competitive to the recreational skier," he added. Climate change has made the provision of 'good snow' an important consideration for those embarking on winter holidays, with many insurers now offering coverage for a lack of snow. Equally, for those hurtling down a mountain, peace of mind from adequate travel insurance is a crucial first step to a good holiday.